Londa is steep rocky sides’ graves. 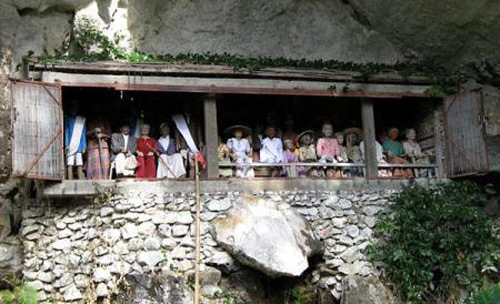 One of its sides is located on a higher place from the hills which has a deep caves where you can see coffins that are arranged and grouped based on the family lines. On the other side of the hill, on the balcony, dozens of ‘tau-tau’ seems to be a life, stand straight with eyes opened, are looking over the beautiful landscape of this area.